Furniture fabrication industry has evolved ever since its inception in terms of designs and attractive final products. Furniture manufacturers strive to possess a variety of precisely designed furniture pieces, each having its own USP. 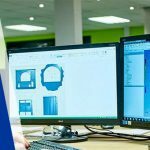 To highlight each feature, texture and uniqueness of every single furniture product; 3D CAD modeling in SolidWorks with 3D rendering is how the new generation visualizes it. By blending novel technologies such as Virtual Reality and Augmented reality with CAD, these furniture manufacturers attain peak sales. The major concern for furniture manufacturers is to keep their sales figures floating high, while meeting customer requirements and trends in the market. The next is to deliver 3D models of furniture pieces with BIM content to aid architects for as-built models. It becomes manufacturers’ prime focus to achieve architect’s requirements by making the furniture product attractive enough for retail or wholesale furniture reseller. 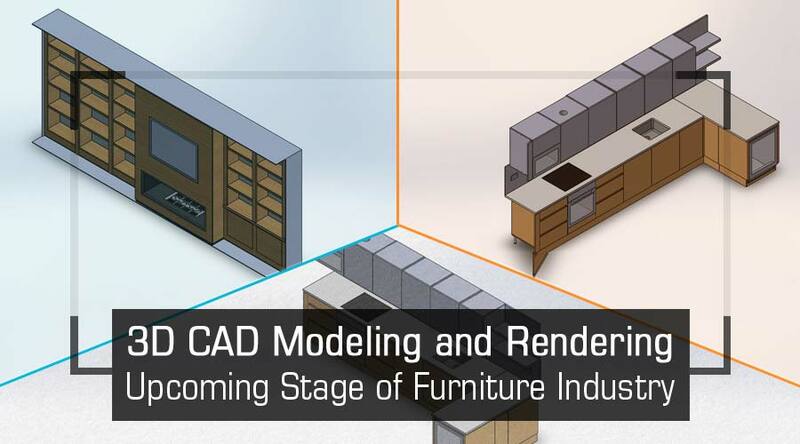 Furniture industry relies on 3D CAD modeling to fabricate the final products as and when the need arises. According to a CAD survey; 3D CAD modeling and 2D CAD drafting have taken center stage with an awareness of 87% and 75% respectively. 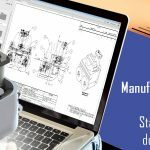 The highest trend of 3D CAD modeling with 81% usage was seen in overall manufacturing sector. These statistics prove that the use of 3D CAD modeling for BIM content is successfully addressing the needs of architects in developing and explaining as-built models. 3D CAD models of furniture products empower interior designers and architects to clearly define the demarcation of floor space across the building facility. 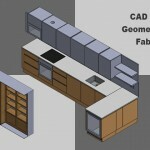 With ready CAD models of standard products in CAD library; customizing furniture designs becomes faster and affordable. Though CAD models have sufficed the need of BIM content; a regular CAD design engineer knows the shortcomings. A CAD drafter or a furniture design engineer knows that 3D CAD models are greyish in color and do not make the furniture model attractive enough for customers. Another common question that baffles a furniture retailer is whether to adopt or to drop the idea of using a fluorescent light in the store’s sales catalogue, if yes, which one. Answer to the first question is a simple yes or no, but the second one, needs subject matter expertise. This is because the right colored light, shadows and ambience, make the furniture product attractive and increase sales. To have convincing & logical answer to these questions, a mere 3D CAD model from furniture designer isn’t sufficient. A well rendered walk-through model of the store or facility, with properly placed furniture can give the client’s a lucrative look and feel of furniture products. Rendering has eased the most dreaded process of explaining design intent and getting approvals of stakeholder with 2D sketches. 3D rendering suffices the need of giving products a realistic look and not merely a model by creating the effect of lighting and shadows. Rendering works just fine for every furniture piece; from high-end product to Engineered-to-Order products, including home décor products available on e-commerce stores. Approvals from clients with rendering and photorealistic look of the product, prior to fabrication, has empowered furniture manufacturers in saving ample amount of time and efforts. 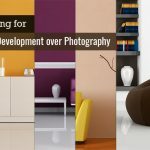 Rendering has eliminated the need to spend resources unnecessarily on fabricating all the way till final finished product, which holds equal chances to get rejected by stake holders and clients. 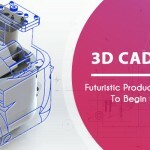 In a nutshell, 3D CAD modeling with 3D rendering is at a pace that is swiftly uplifting sales and profits to new heights with its peculiar characteristics of design communication. The future of furniture industry and furniture manufacturers is all bright ahead. Meanwhile, when rendering and 3D CAD modeling is being embraced by professionals, evangelists in furniture industry have already started running the race for upcoming years. To say this, Microsoft announced its product launch of HoloLens that is compatible to Autodesk’s Fusion 360 which will aid and support the growth of Augmented Reality in CAD. Apart from Microsoft’s initiative, there are several conferences being held across the globe about Augmented Reality every now and then. The core focus areas of these conferences are about numerous programs and software in the market that lets the customer or furniture retailer virtually furnish the area using an online catalogue. Customer centric technology like CAD, 3D rendering and upcoming ones like Augmented Reality, makes it easier for furniture retailers and customers visualize what they are selling and purchasing. These technologies are the driving gears for furniture industry to meet increased sales targets. It essentially drives reduced risk deals and builds longer relationships between furniture manufacturers and retailers. Although for furniture manufacturers, fabrication is the main business, selling it is a lengthy process; and these novel technologies are working agreeably.